Climate Stories Project (CSP) is an educational and artistic forum for sharing stories about personal and community responses to climate change. CSP focuses on personal oral histories, which bring an immediacy to the sometimes abstract nature of climate change communication. Some of us may recount dramatic events such as floods and wildfires, or we may address our observations of changes in seasonal patterns and our fears for the future of our families and communities. We may discuss how climate change is forcing our communities to adapt to extreme weather and sea level rise. Or we may speak about how we are getting involved in movements to build more resilient futures and to fight the fossil fuel industry through community organizing or nonviolent protest. There is no "right" way to talk about climate change as it is a vast topic that is increasingly touching every corner of our lives. In addition, some climate stories are being used as the basis for music and soundscape pieces that allow audiences to witness the effects of climate change in a novel way. By presenting climate change narratives through music, Climate Stories Project reaches new audiences that may not be currently engaged with the effects of climate change. These pieces can be found on the Climate Music page. Jason Davis, Director, is a musician, environmental educator, and leader of the environmental sound/improvisation ensemble Earthsound. He was a 2014 fellow with EE Capacity's Community Climate Change Education Fellowship, for which he began developing Climate Stories Project. 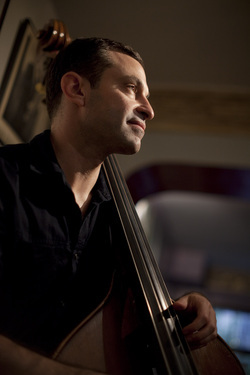 Jason is currently a doctoral student in music at McGill University in Montreal. He has Master's degrees in Music and Ecology, and has published research about the changing relationship between local communities and protected areas around Monteverde, Costa Rica. Jason was inspired to create Climate Stories Project from listening to Different Trains by composer Steve Reich, a piece which uses recorded interviews to explore the very different experiences of people traveling by train in the US and in Europe during World War II. Jason's goal is to create a "living artistic documentary" that engages audiences to share and listen to personal responses to climate change. Bethany Garretson, Project Manager, is an Environmental Studies instructor at Paul Smith's College in upstate New York. She's a passionate mountain climber and writer, and her research examines the intricate relationship between nature and culture. After participating in Bill McKibben's "Step It Up" campaign in 2007, Bethany felt inspired to focus her efforts on climate change education. In 2016, she formed Climb it 4 Climate, a mountain climbing fundraiser that brought in over $30,000 in its first year. Outreach was wide and proceeds went toward improving sustainability and supporting scholarships at Paul Smith's College. In February 2019, Bethany will travel to Argentina to climb Aconcagua, the highest mountain in the Western Hemisphere, and along the way collect climate stories from local residents. Her goal is to share the anecdotes and experiences from people around the world to empower communities and promote understanding of and preventative action against a rapidly changing climate. Berenice Tompkins, Project Manager, first discovered the power of storytelling walking across the country with the Great March for Climate Action, noticing that people she met were much more willing to talk about climate change when they had a human face to connect it to. She was inspired to start the Climate Story Caravan project, using art to share stories of how people across the US are being impacted by and responding to climate disruption. With Climate Stories Project, Berenice is excited to continue working to highlight the ways in which climate change is affecting people in our own communities, right now. She is directly involved in CSP's student workshops and is helping more young people feel empowered to speak as important stakeholders in climate conversations. Berenice also walked from Rome to Paris with the People's Pilgrimage for climate justice and has been a student organizer in the fossil fuel divestment movement. She is currently taking time off her undergraduate degree to devote herself to climate storytelling. She lives in Hastings on Hudson, New York.